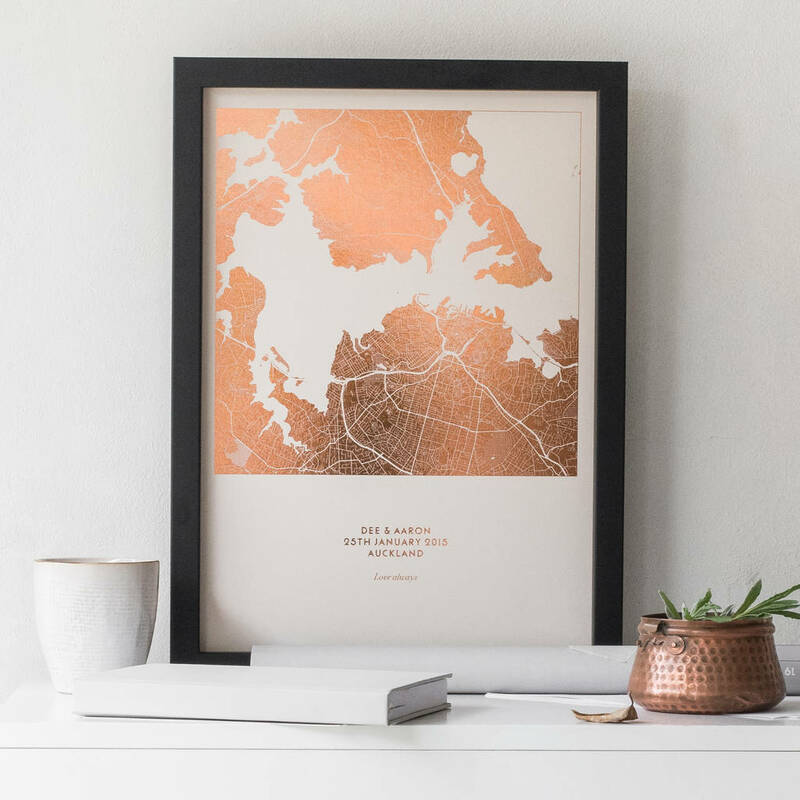 A metallic foil personalised map print. 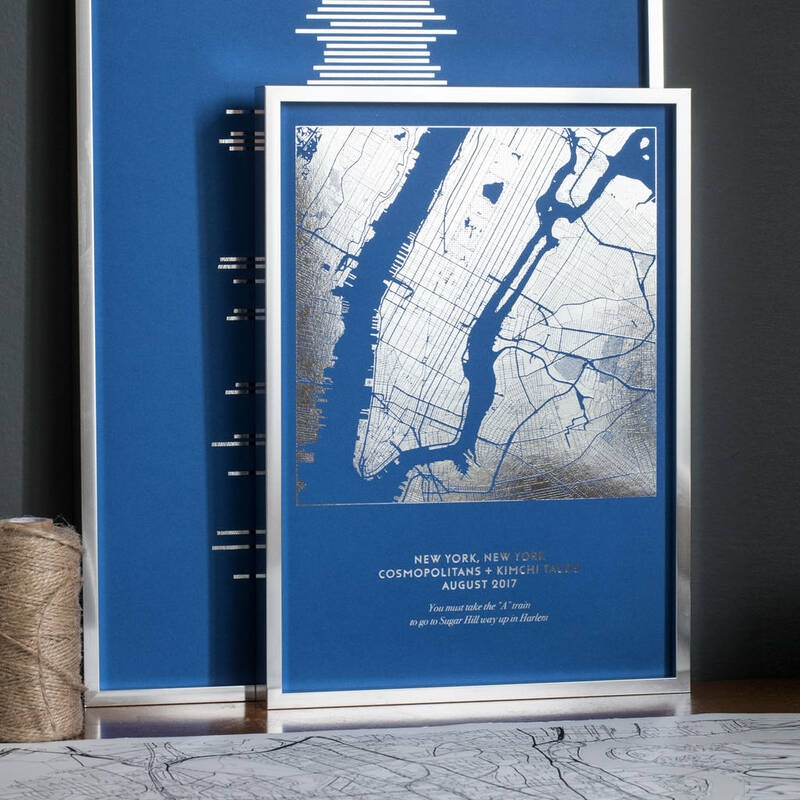 Perfect for marking a memorable place, wedding or holiday. These maps make for an eye-catching statement on bold coloured paper, or choose a neutral shade for an elegant gift. 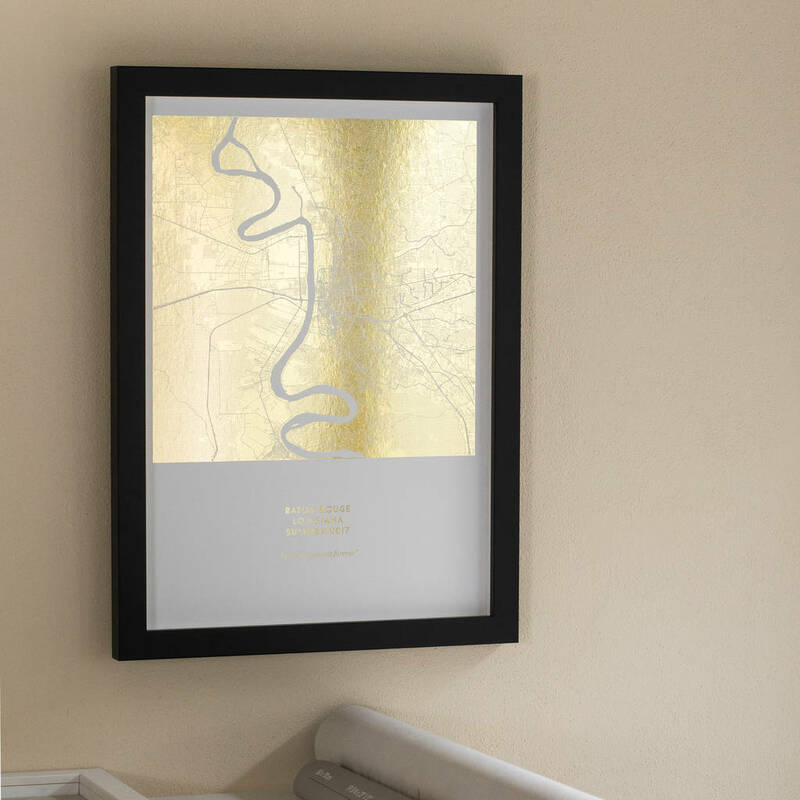 We leave the rivers, sea, and roads bare, so the paper colour shows in veins through the metallic. 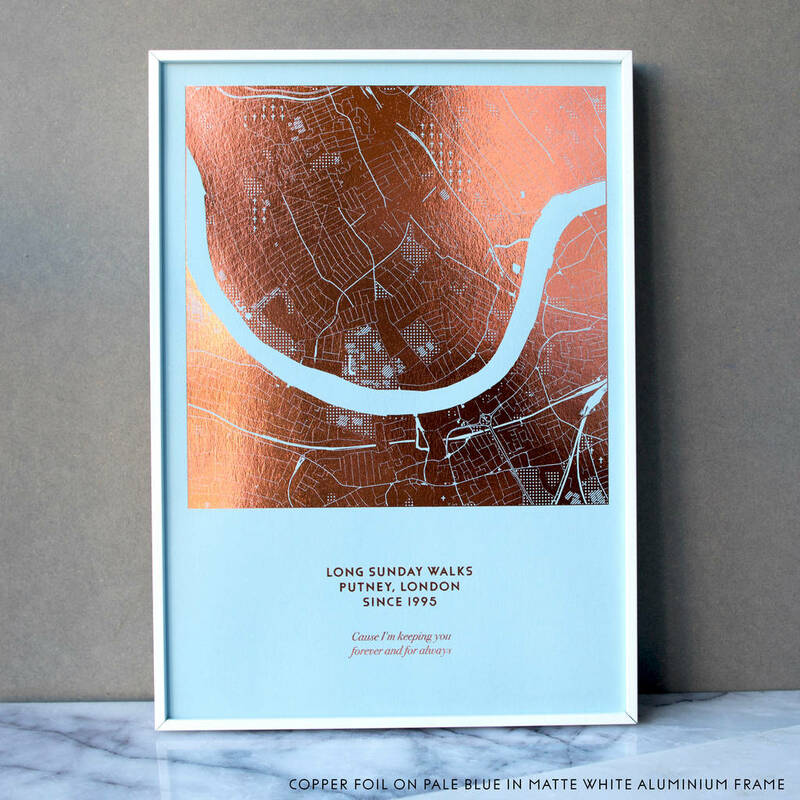 Simply provide us with a UK postcode or an international address, and we will create the artwork digitally, before printing it, and applying metallic foil onto your choice of beautiful coloured paper stock. We'll choose a radius for the map, which creates the best composition, although please get in touch if you would like to specify this. 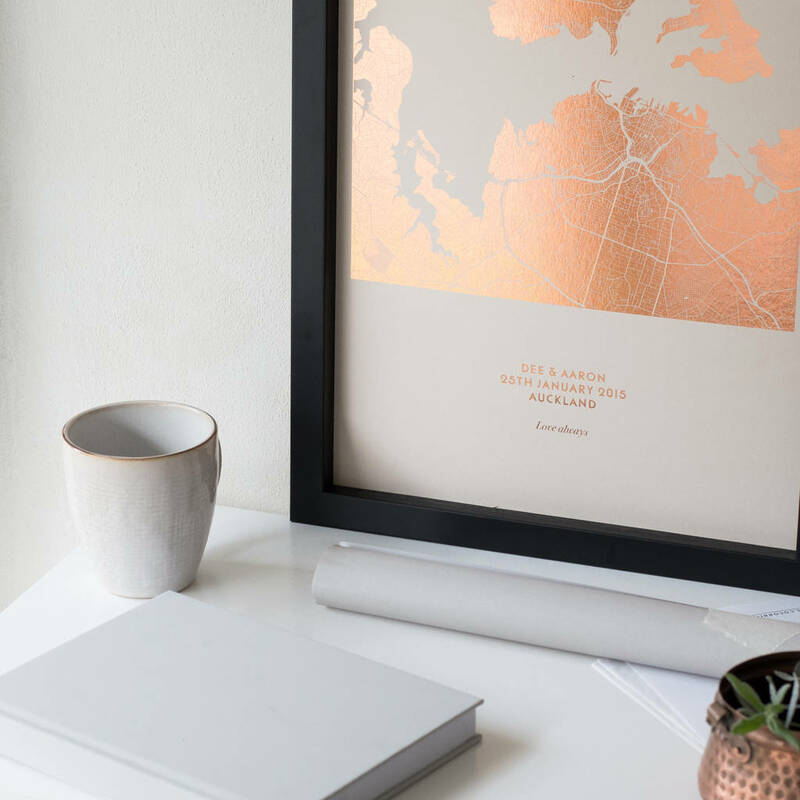 There is space underneath the map, for you to editorialise your print to make it extra special. 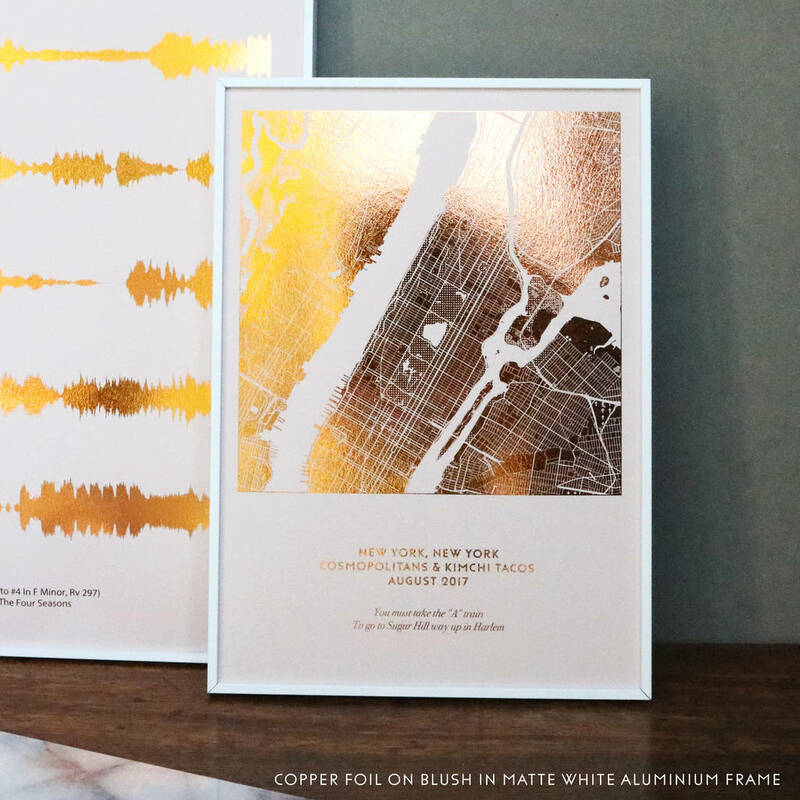 For example, on a wedding or anniversary print, you could add names, location and a date in capital letters, and then a quote from wedding vows in italic. Alternatively, you may want to keep it minimal and just write a date and location. 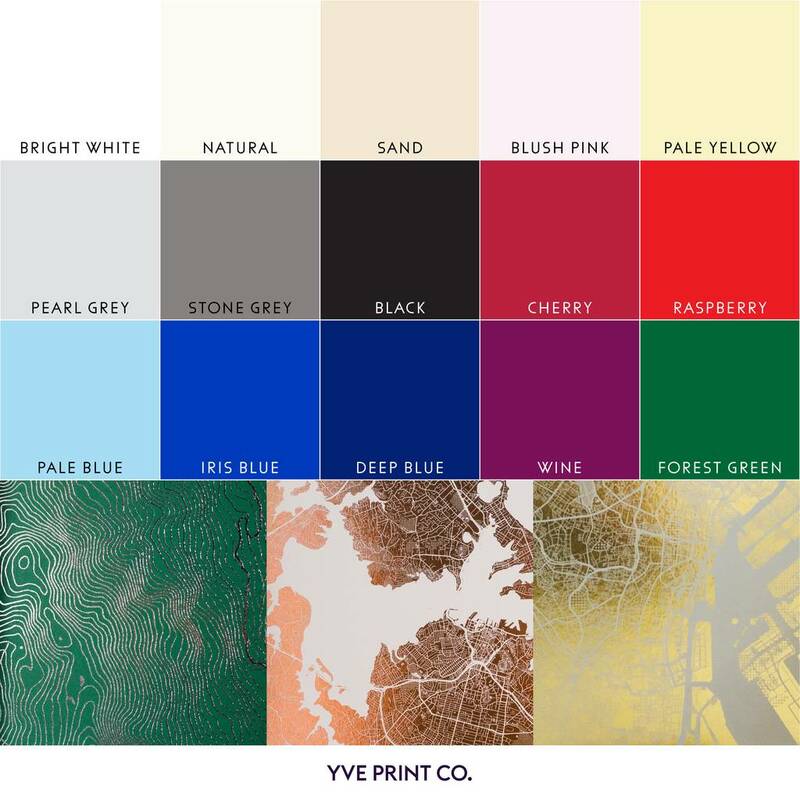 YVE PRINT CO prints are created to order in our studio in Bristol. 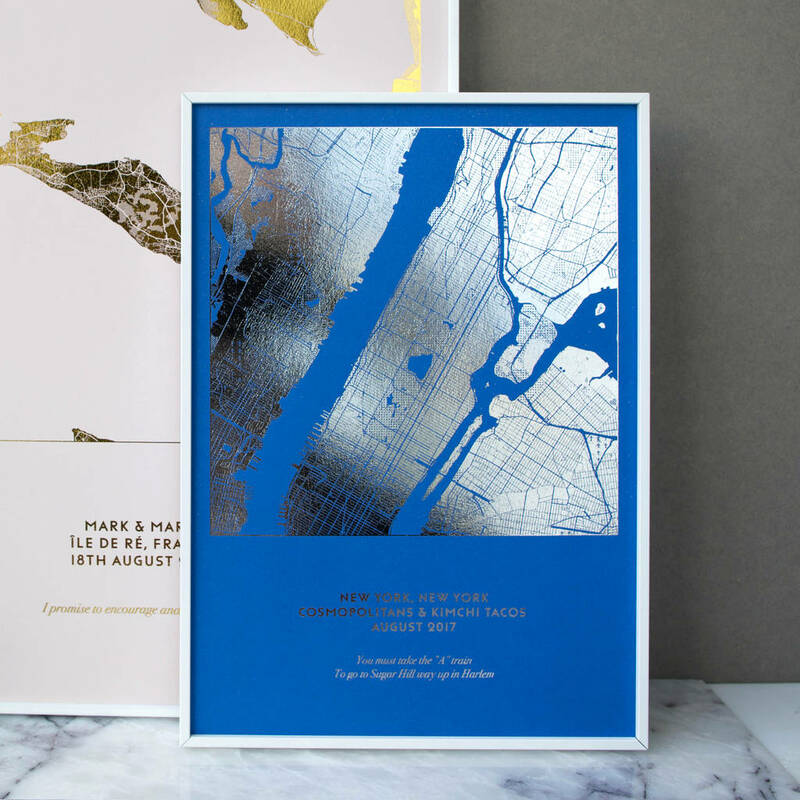 The metallic foil is applied by hand onto beautiful coloured paper. 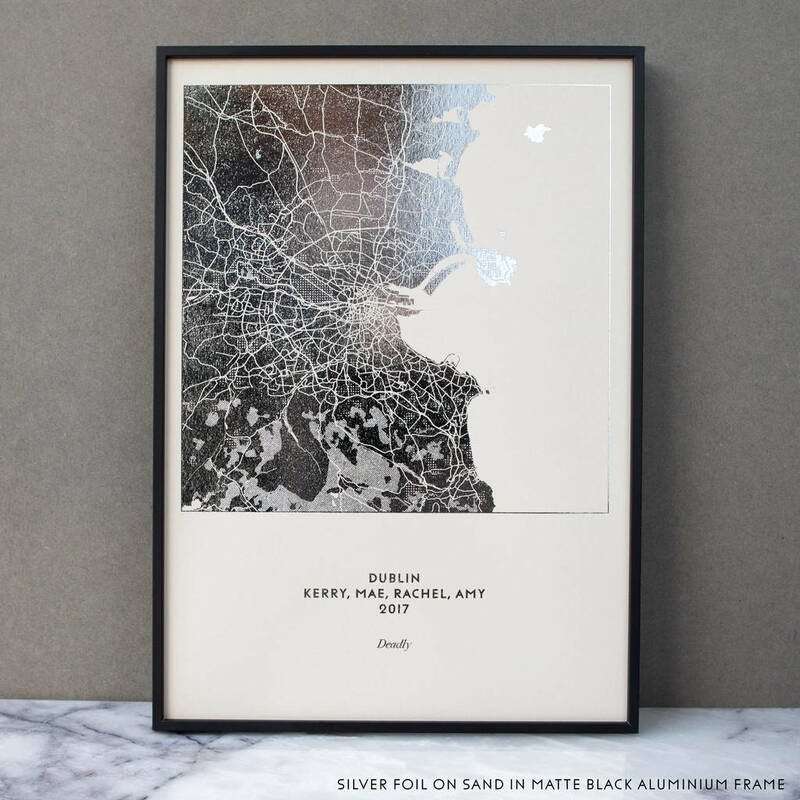 Proofs are black and white digital images to show you how your map will look. 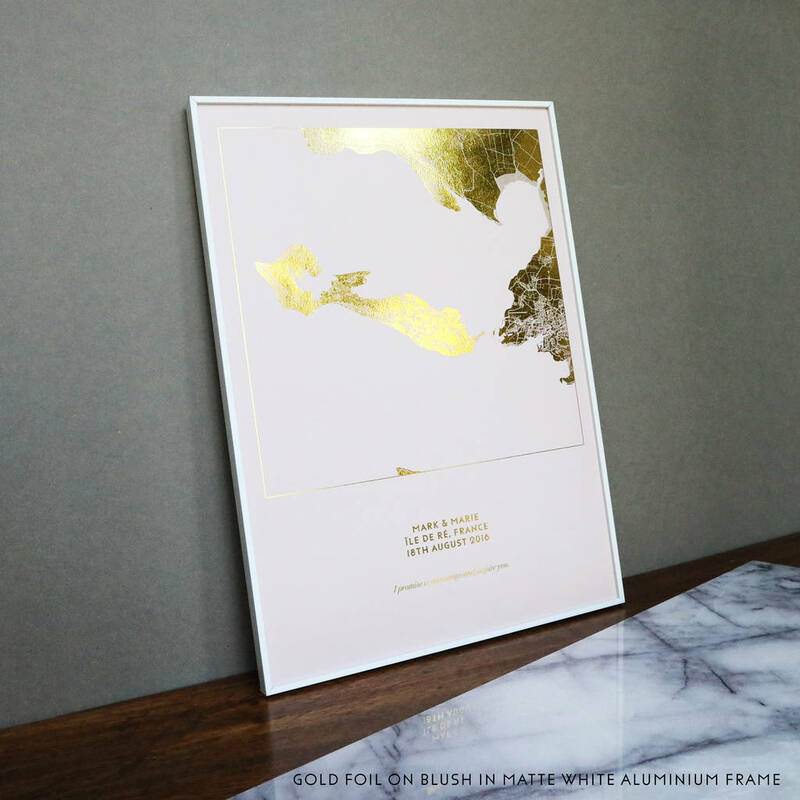 We are unable to show you a proof using metallic foil on coloured paper as this is not a digital process. 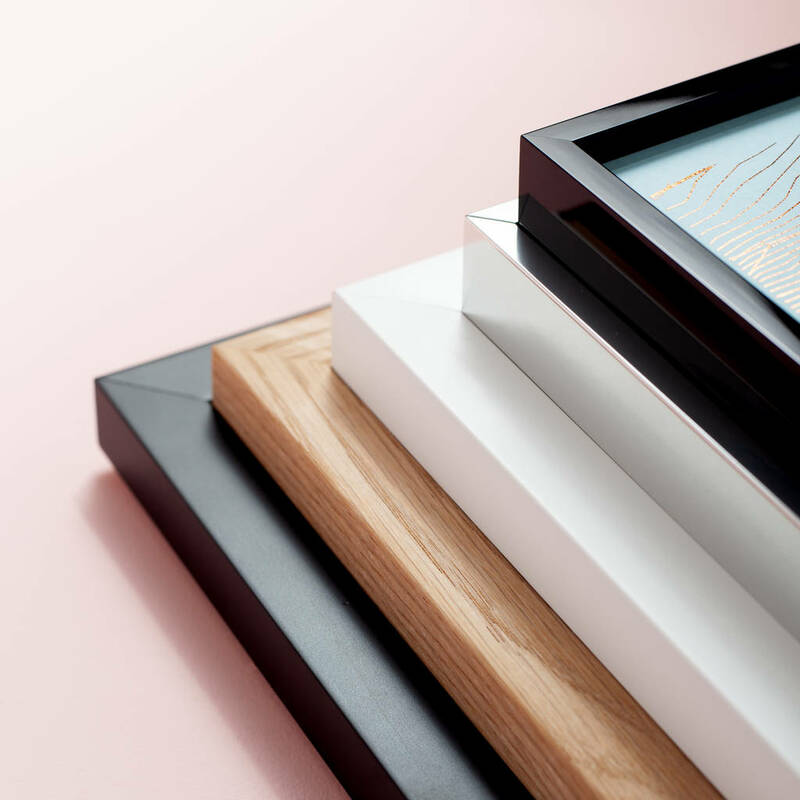 If you request a proof, we'll aim to upload it to your account on notonthehighstreet.com within one hour, between 9am-5:30pm, Mon-Fri. You should receive an email when the proof is ready - sometimes these hide in junk mail folders! If we haven’t heard back from you regarding your proof after 48 hours, we'll send your order to be printed. 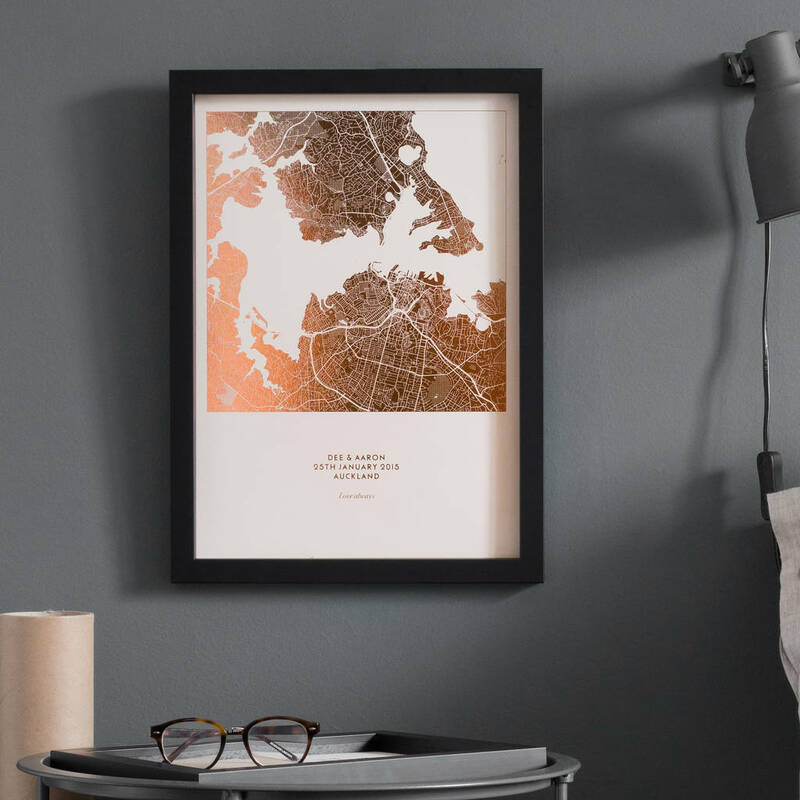 This print has been created using data from OpenStreetMap.